In a special two-part series, digital expert and real estate coach, Lisa B, explores vendor paid advertising: why it’s important, what it involves and how you can secure it. Firstly, do you believe that you need to convince your sellers to pay for advertising on their property? Is it the best thing for the seller, their home and the potential price they could achieve? Ok…. How and where do you start? I can’t stress this enough, you must believe in what you are doing. You must believe in the marketing and everything you are suggesting to your seller. You must believe paid advertising is the best thing for your vendors to sell their property. The key to being able to sell anything well, is to believe it’s in that person’s best interest and that your vendors will obtain a better price with your suggested marketing. You also need to advise them on what will happen if they don’t market the home the way you suggest. What exposure will their property get? More importantly, what exposure will they miss out on? Vendor Paid Advertising will cost them in advertising money but also explain to them, what it might cost them in the potential sale price of their home if they DON’T invest. Before you determine your marketing packages — know what works in your area. Know what’s the best bang for their buck. You must make every dollar count! Experiment and keep a log of every enquiry you receive and how each buyer came to know about the property. Know what works. The last thing we want to do is spend the owner’s money on something that has no chance of working. Again… you must believe wholeheartedly it will help to sell the seller’s property for the best price and in the shortest amount of time. Write down all the things you COULD do to market the property. If money wasn’t an option, what would be the perfect plan for advertising? Don’t filter your options at this stage, just come up with ideas. This way you will have a range of suggestions and a possible plan for ANY property you list. Once you have your list, include ‘budget’ and ‘prestige’ options. Remember don’t filter at this stage.. Some agents have a basic option where they list some items for ‘free’ as a bonus. Always include all the benefits of listing with your office; show the extra value your office adds. Work on your list and formulate your packages tailor-made to your office. You can call the packages something like Silver, Gold and Platinum Marketing Packages. Show the sellers the options and let them know the potential reach of each package. Then explain that any methods they exclude from their package, will eliminate the reach of those buyers you suggested to target. It’s then up to the sellers which package they choose. Agents may have a structure of two fees, if we break those down they are known as parts and labour. The parts refer to advertising: this is the actual cost of advertising. This money DOES NOT go to the office or the salesperson, it goes directly to the portals, newspapers or whichever medium the sellers have selected. Remember that it’s the owner’s choice as to how much exposure they want. The salesperson is then responsible for coordinating the marketing, and the salesperson is only paid if the property sells. Remind the sellers that if they want to sell something, no matter what, to get the best price, you generally have to pay to advertise it online. If the seller was going to sell their car, fridge, table or house, they would advertise it on a platform online and they would pay for the advertisement. Selling with an agent is no different. In days gone by, whenever we sold anything, we would sell it in the sales newspapers, for example, The Trading Post or The Classifieds. Nothing has changed except the medium. Fast-forward to today, and remind the sellers if they were going to sell the property themselves, they would need to pay for advertising. The only thing is that they would have nowhere near the same potential reach as agents do. Next is the labour cost… this is what the salesperson earns for being on call 24 hours a day representing the sellers in the sale of their home, generating leads, dealing with enquiry and inspections for the seller’s property. This is what they are paid for, their negotiation skills to obtain the best possible price. 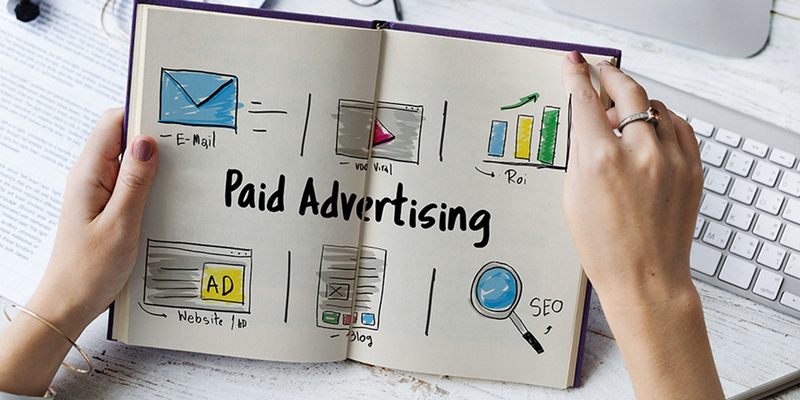 This article is part one of a two-piece series dedicated to Vendor Paid Advertising. In part two, we ask, ‘do agents really need to charge VPA?’.